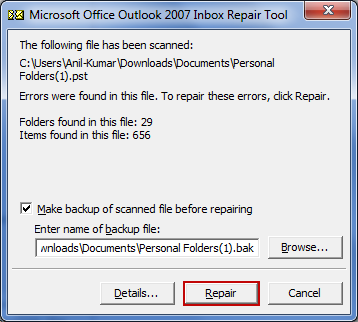 Microsoft Outlook has different versions and depending on the combination of versions of Outlook and Windows, the location of Scanpst.exe file also varies. 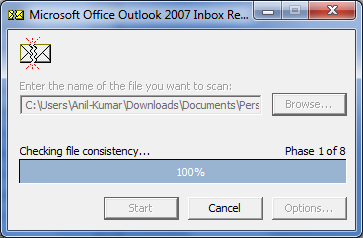 Here, is the table showing location of scan.pst in different locations of Outlook. Scanpst.exe Location for Win8, 8.1, XP, 7 etc. Exit active Outlook that you are using. After completion of scanning process, it shows the existing error in file and gives the option to user to repair the file. The PST file is the database file of Outlook and Internal Repair Tool that basically corrects and validates error in the database file. So, the Scanpst actually validates and corrects the internal data structure of .pst file. Therefore, the structure like Btrees and reference counts are primarily checked and repaired whenever it is necessary. It ensures correct tables are associated with folders. Check every row of table and make sure that message or the subfolder is present in machine. If message or subfolder is not found, ScanPST removes that row. 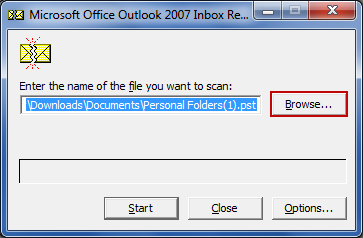 If ScanPST get the message or subfolder, it validates that message as well as folder. If the mentioned validation fails then ScanPST remove that from table considering it as corrupt. On the other hand of validation succeeds then ScanPST use to do another analysis of recovered message in-order to check whether the recovered message is consistent with the table or not. Suggestion: If you are still getting same errors and scanpst.exe unable to short out your PST corruption issues that time an external Outlook Recovery Software can be used. It will work in all corruption situations and fix corrupt PST file in less time and less effort.